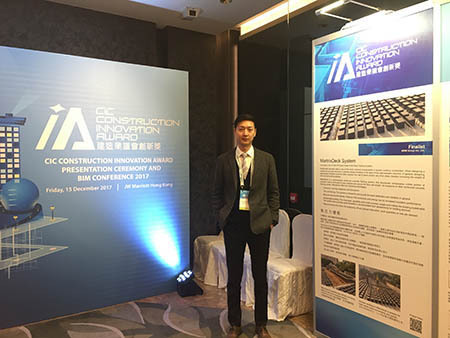 CIC Innovation Award 2017 - MDM Group Inc. Ltd.
MDM Group Inc. Limited proudly announced that we have been granted the finalist for the CIC Construction Innovation Award 2017. 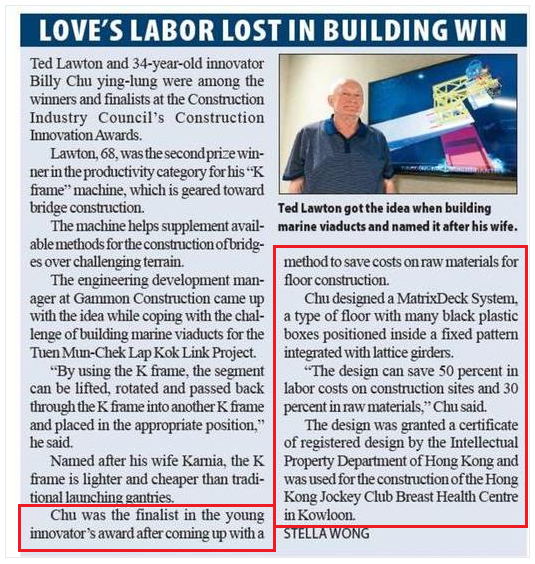 The CIC Construction Innovation Award aims to spearhead development of new concepts to enable sustainable improvements in the construction industry of Hong Kong. It also aims to recognize and promote advanced technologies and scientific breakthroughs by both local and international academia and industry practitioners. We scored favorably across all metrics in “construction productivity”, “construction safety” and “construction sustainability” assessed by a panel of professional judges. MatrixDeck System is a type of floor with many black plastic boxes positioned inside a fixed pattern integrated with lattice girders. It has a myriad of benefits for floor construction. 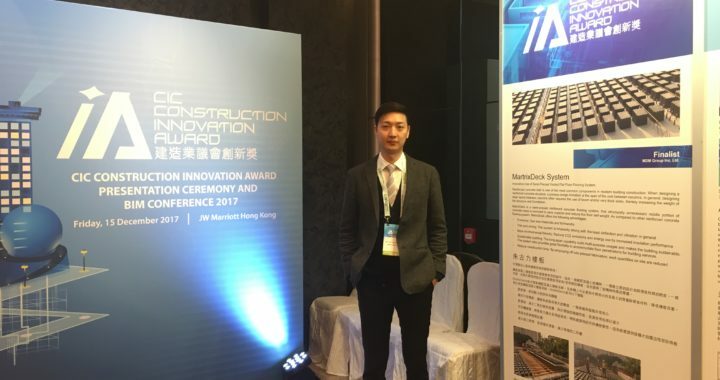 The Founder Billy Chu claims that the design can speed up 50 present on-site construction time, save 50 percent labour on construction sites and 30 percent in raw materials. Continuous innovation is important to the sustainable development of the construction industry. We hope that our product and service would enhance the living quality of the general public significantly. Posted in News and tagged 2017. Hong Kong Science Park, Shatin, N.T. © 2019 MDM Group Inc. Ltd.